Natura Siberica Energizing And Protective Shampoo 400ml. Natura Siberica Coloured And Damaged Hair Shampoo 400ml. Natura Siberica Volumizing And Balancing Shampoo 400ml. Natura Siberica Alladale Repair Natural Shampoo 400ml. 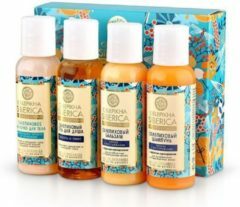 Natura Siberica Neutral Shampoo 400ml.